It’s no secret that we love our food and booze here at the G&G, but what makes us really happy is when a venue tells us that our food bill is going towards making the world a happier place (a great excuse to order dessert, right?). Because while we might have the luxury of not having to worry about whether we can afford our daily latte, where we’re going to eat our takeaway pizza without a home to go to or whether we’ll get a glass of water with our dinner, there’s plenty of people who don’t. Fortunately, there’s people out there doing something about it, and while buying a cup of coffee for charity might not sound like much, at these venues, it does – and it might just inspire you to do something more. Fighting unemployment, discrimination, homelessness and poverty with every sip (of coffee or wine), these Brisbane bars and eateries dedicate themselves to supporting worthwhile causes, which means you can feel good about your food baby. Don’t mind the gap – commute down! Tucked away in Nundah, Espresso Train boasts a menu packed with freshly-brewed coffees, scrumptious brunches and luscious sweets. 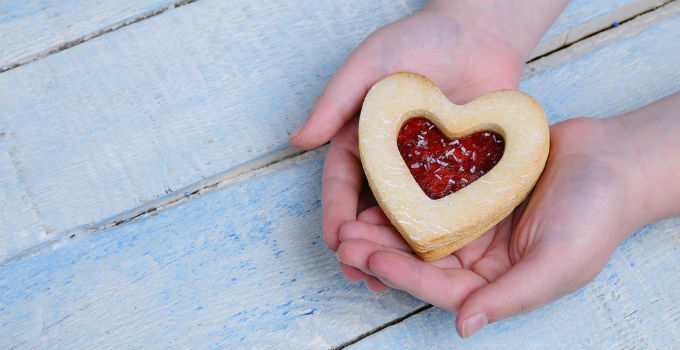 This café won’t just fill your belly, though – it’s also filling hearts. Espresso Train’s mission (or should we say loco-motive?) is to provide employment and training for people with disabilities, with all funding coming solely from the café. Over 10 years after opening, they’re still steaming on, without a lick of government funding. So you should definitely get a slice of cake. If you’re looking for a culturally immersive food experience, we’re ghana share a great one. Mu’ooz is an African restaurant that dishes up traditional Eritrean and Ethiopian eats while employing and training African refugee women. Breaking down social and cultural barriers with their exotic fare, the restaurant dishes up flavoursome share plates and curries that will win over both your tastebuds and your heart. No one in need is ever turned away from Cup from Above, whether they need a feed or a helping hand in getting their life back on track. While smooth coffees and sweets are the main attraction to this urban café, they’re most loved for their suspended coffees and tucker token initiatives, where visitors can pay forward for those in need. And that’s still not all – they even provide barista training to disadvantaged people and help them find employment. So go on, have a second cup. The Bar of Social Conscious (or BOSC, if you’ve had too much beer) serves up some awesome drinks along with their mission statement of donating at least 20% of their profits to charity. Specialising in boutique gin cocktails, the cosy West End spot also usually offers a blackboard full of craft beer choices. Good feels and froths all in one night? We’ll risk a hangover for that! Pickle up a fresh, locally sourced burger from DA’Burger in New Farm, safe in the knowledge that your stack of meat, cheese and carbs is helping to support homeless and at-risk youth by providing housing support, employment, and education. The huge menu of burgers (with gluten free buns and vegan options, we might add) will have you drooling, but it’s the farm-to-plate philosophy at this place that will really wow your taste-buds. You can even add a suspended burger to your order and feed a hungry soul if you’re feeling extra generous. Govindas has been a haven for hungry students for years. Unlimited plates of fresh Indian curries, koftas, rice, and pappadums are proffered at both stores for an unbelievable $10. A curry coma – or korma, as we call it – can last at least 6 hours after the initial face-stuffing. But helping poor students get a hearty feed isn’t all they do – the restaurant also supports Food for Life, a charity that distributes free meals to families and individuals in need. Our morning caffeine hits are a must if we want to get through that daily grind, and now buying yours from Miss Bliss will also ensure that children in Africa can get through theirs too! For every cuppa that Miss Bliss sells, 20c is donated to the inspiring West African charity Paradise 4 Kids, where only $5 satisfies the tummy of one child. Well, we’ve done the math and every 100 cups sold equate to a months’ worth of food for four kids! Seriously, those $3.50 lattes never tasted so good. Also jumping of the 20c donation bandwagon (because there’s no such thing as too much love!) is new kid on the block The Daily Coffee Co., who are set to debut in November this year. Located on Queen St, this place is all about putting passion into both coffee and giving back to those in need. Which means this little coffee bar just skyrocketed to number one on our list of must-visits during this summer! Run completely by volunteers, many of whom use to be the underprivileged that Café Edge and its owner Nikki help get back up and on their feet, this quaint café spreads the love by donating all (that’s right all!) of its profits to local community projects. This is one place where you’ll go for the food (not to mention the coffee! ), but stay for the feels – for this café is expert at providing the warm and fuzzies! Like its name suggests, this café brings a whole latte hope to its employees, and makes some damn good coffee too! Run by the not-for-profit enterprise Micah Projects, they are focused on connecting the community with its diverse workers in the best way possible – food! By tucking into their delicious fluffy pancakes or baked good, you are contributing the training and development of the underprivilege and previously excluded in society – go you! These community-minded venues go above and beyond for those in need of employment, those down on their luck, and those of us who just need a snack. Go, eat – and be generous.